Established in 1999, Frontier VolksWorks is the Midlands leading fully Independent VAG Specialists based in Birmingham. 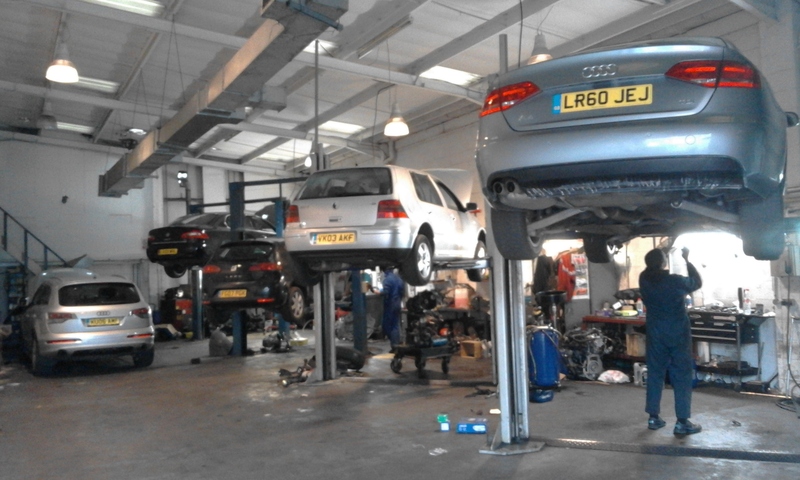 We specialise in VAG spares and repairs for all VAG cars from a Skoda Fabia to an Audi Q7. With Frontier VolksWorks you will benifit from over 10 years experience in Fault Diagnosis, Service and Repairs to VAG Brand cars and light commercial vehicles. Our highly Trained Team of VAG Master Technicians offer a friendly yet professional service at our workshop which is equipped with the very latest state-of-the-art VAG Special Tooling, Diagnostics Systems and Literature. We have a strong work ethic and believe that dealing directly with our Customers will help eradicate any breakdown of communication, which you may have experienced in the past with main dealerships. We open for business 6 days a week, our polite, friendly staff with many years combined experience of Dismantling German vehicles are on hand to answer your used parts requests or queries – either online or by phone. Frontier VolksWorks offer a wide range of Services from Cambelts to MOTs and everything in between. Please take the time to browse our new Site – We very much look forward to being of assistance to you soon!